Home > Cockroaches > What’s the Best Method for Cockroach Control? As embarrassing as it is to admit, cockroaches are the most usual insect pests to infest homes, building structures, and food service establishments. Most times, their presence in an establishment is related to dirt, which is why these small creatures can be quite embarrassing. In addition to their repulsiveness, they also have the potential of mechanically transmitting disease organisms such as bacteria that cause food poisoning. Recent reports reveal that cockroaches are the second most important source of allergy in humans, the first being house dust. Cockroaches are usually introduced into houses either with laundry, grocery bags or in other cases, they may wander inside from outdoors. Once they inhabit your home, they reproduce and multiply in numbers. Since they are prolific breeders, they multiply by several thousands in a year. Cockroaches opt to live in areas where there is a constant supply of food, as well as moisture and warmth. Hence, one of the key measures to controlling and preventing a cockroach infestation is ensuring proper sanitation. Do not accumulate cardboard boxes, paper bags, and soft drink bottles. All food containers should be sealed, while any spillage and crumbs wiped dry clean. In contrast to several other household pests, cockroaches are widespread, thereby making businesses and homeowners look for methods to control them. There are a couple of methods that have been known to scatter off roaches and in some cases kill them, but they always return after some time. Before you know it, it becomes routine. However, the secret to this is eliminating the source of the problem – other than the problem itself: the nest. Some of the methods of controlling cockroaches include hiring an exterminator, but most are normally expensive, adhesive-based traps, and poisonous roach baits. In most cases, finding the nest seems impossible since the cockroaches commonly set their nests in floor cracks, wall crevices, and other inaccessible areas. Because of this, the best, most effective way to rid your house of cockroaches is to use a type of poison that the cockroaches carry on their back to their nest, and end up infesting the rest of the population. You can hire an exterminator in the eradication of the nest or you can do it yourself. but it is better to be safe all-together. 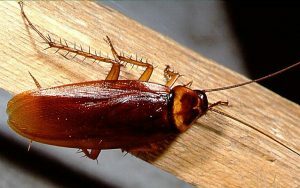 The cockroach poisonous bait contains a slow-acting insecticide often incorporated in a food that attracts roaches. The roaches then find and eat the bait then crawl away and die. Also, the bait that is carried on the cockroaches’ back to the nesting area, is expelled in the feces and sputum, and is fed upon by the other roaches which also die. The insecticide bait is usually stored in a small, plastic bait tray or trays. Contrary to aerosols and liquid sprays, cockroach poison baits require no mixing or emptying of kitchen cabinets or covered foods in surface preparation for the treatment. Humans and pets are also not exposed to the toxicant since the poison is put in plastic and child-resistant containers. 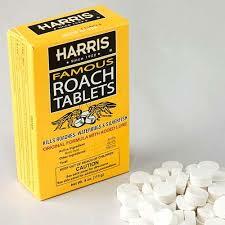 Another great advantage to the poison baits for cockroaches is that they are odorless. Several types of this form of cockroach control solutions are sold over the counter in hardware and grocery stores. Examples of the most effective products include Raid ® Max Roach Bait, Combat ®, and Roach Ender ® Roach Bait (Black Flag). In order to be successful in controlling cockroaches, ensure proper placement of the bait poison. This includes positioning the bait on areas most frequented by roaches, especially bathroom and kitchen areas- under toilets and sinks, dishwashers, stoves, under refrigerators, inside storage areas and cabinets, and beside trash containers. Also, place on cockroach paths such as points where the ceiling meets the walls and walls meet floors. Just remember, the further they are placed from these areas, the less effective they are. Thanks for this great post about cockroaches and ways to prevent and eliminate them. I saw one in my basement yesterday, and I want to prevent a full on infestation, so I’ve been looking for ways to prevent more from entering my home. In my research, I came across some more good information at this site as well. It’s Black and White Pest Control, an Australian base website. My neighbors have recently had cockroaches enter their home. So now my family is fearful of them spreading and entering our home. Thank you for posting about how to have cockroach control by finding the nest. I will be sure to suggest this to my neighbors so it doesn’t continue to spread.